‘that girl’ is really excited about working with our newest client Stoke Rochford Hall hotel. This stunning Grade 1 listed Victorian mansion is just off the A1, 6 miles south of Grantham in Lincolnshire and really is a hidden gem. Set it beautiful formal gardens, 28 acres of grounds and surrounded by the Stoke Rochford estate parkland, the hotel and conference centre has not featured on many local people’s radar and it really should have! From Sunday lunch to a murder mystery dinner, wedding venue to conferences, the hotel can cater for virtually every occasion whether it is for business or pleasure. I was personally blown away with the place when I first went down earlier this year to arrange one of the events for Enterprise Week. We’ll be promoting the many events that are planned for the hotel during the coming months but if you are in the area, it is well worth popping in for a coffee or a walk around the grounds – the coffee you’ll need to pay for but the walk comes for free! 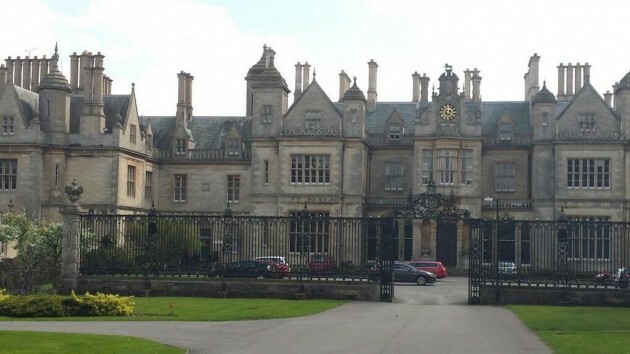 April 24, 2014 | Filed under Events & Exhibitions, PR, Uncategorized and tagged with business conferencing, Stoke Rochford Hall hotel, That Girl.